Concord, MA (July 13, 2018) – A two car crash was reported in Concord on Friday morning. The crash happened in the eastbound lanes of Route 2 and took place just after 9:00 am, at the end of the morning rush hour. Police were called to the scene in reference to an accident involving multiple vehicles. Upon arrival, police discovered that the crash did involve multiple vehicles and that injuries had also occurred as a result of the accident. A medical team, along with police and fire department officials responded to the accident. The injured victims received treatment at the scene and were later transported by ambulance to area hospitals. Police in Concord have not released information on the victims at this time, including their names or the nature and extent of their injuries. Traffic in the area was heavily affected by this crash and was backed up for several miles while police worked to clear the accident scene. Residual delays were experienced after the scene was clear. A highway accident can be, and usually is, serious in nature. 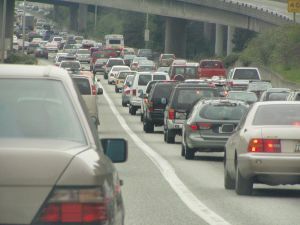 Given the higher speed limits on highways along with the greater amount of congestion, we typically see that accidents are more frequent and that they also cause more damage. Serious injuries are also more likely to occur on highways versus city streets. Highway accidents can cause a major disruption for victims. If you or a loved one has suffered an injury in any type of Massachusetts car accident, you need an experienced personal injury attorney. The insurance company will contact you just after the crash and will want to settle your claim quickly and for pennies on the dollar. This is where many accident victims make the mistake of settling their cases on their own and costing themselves valuable compensation. At the Law Offices of Jeffrey S. Glassman, our team of experienced Boston injury attorneys work with clients on a daily basis to help them obtain satisfactory results in their personal injury claims. We handle all types of car accident cases, including highway accidents, and we know what it takes to successfully resolve these disputes in your favor. For a free consultation, call our office at 617-367-2900 to speak with one of our attorneys today.